VERMILLION, S.D. (GoWatertown.net) — South Dakota has released their 2019 football schedule. The season kicks off August 31st at home vs Montana. Highlights for the season include traveling to Oklahoma September 7th. D-Days will be held October 5th vs Indiana State. The Yotes will head to the Fargodome November 16th for a date with the Bison and wrap up the year at home vs South Dakota State on November 23rd. 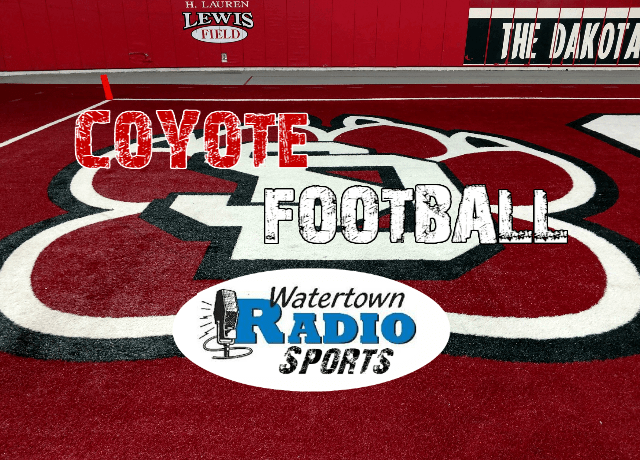 Catch Coyote football this year on 1480 KSDR-AM.